PreviewsWorld have added the cover artwork for the retailer incentive cover for Optimus Prime issue 18. 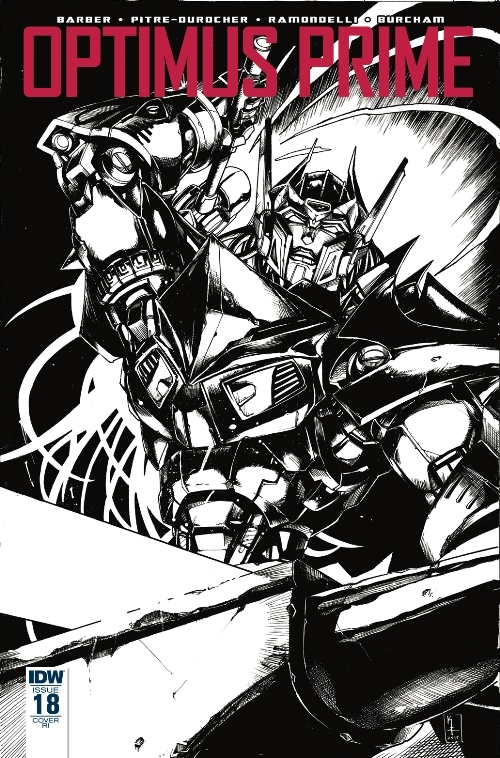 Issue 18’s retailer incentive cover is a black and white version of Kei Zama’s cover that features Solus Prime of the original 13, and the artwork somehow seems even more awesome for being in black and white, and really lets you appreciate Kei Zama’s excellent linework. Check out the cover attached to this post.